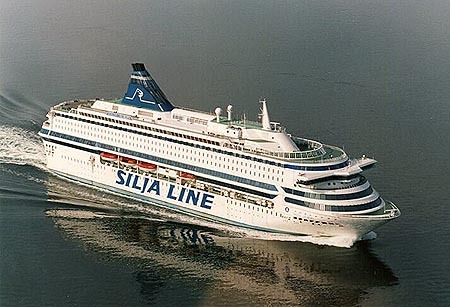 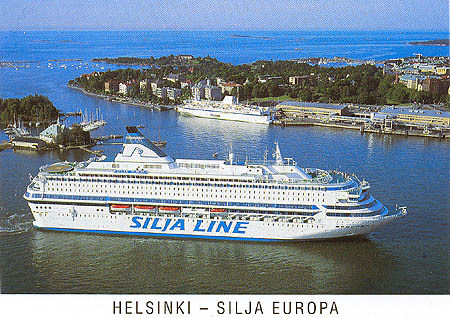 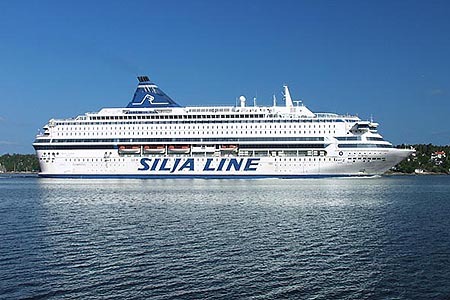 This page is devoted to postcards and photographs of the Silja Line ferry Silja Europa. 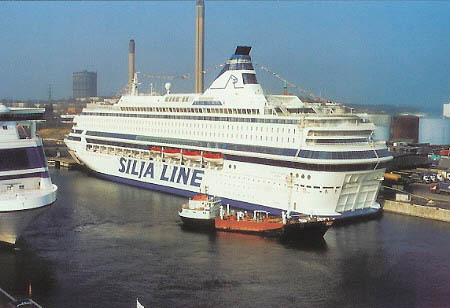 Silja Europa was ordered in 1991 from Jos L Meyer Werft, Papenburg-Ems, by Viking Line partner Rederi AB Slite, for 1993 delivery as the Europa. 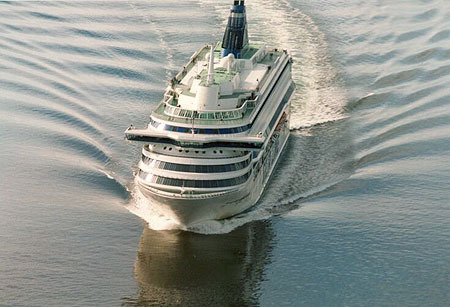 The order was cancelled before delivery, and the builders took ownership. 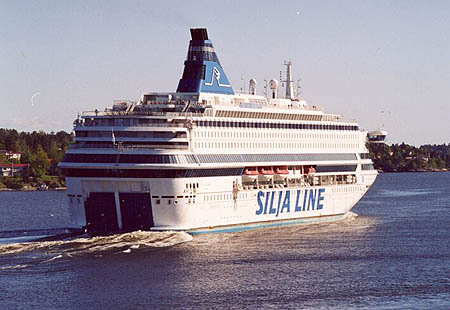 On completion, she was charterd to Silja Line as Silja Europa, entering service in March 1993 between Stockholm and Helsinki. 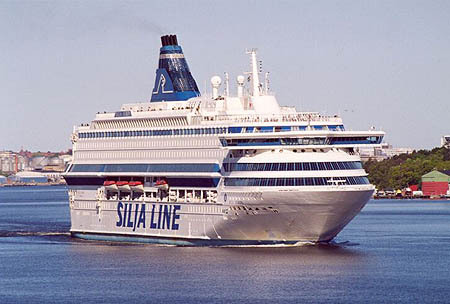 Silja Europa has since served on many other routes for Silja Line. 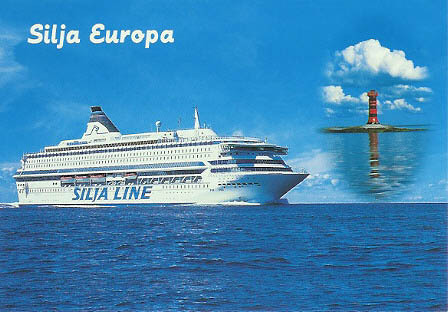 Europa was ordered from Jos L Meyer Werft, Papenburg-Ems, by Viking Line partner Rederi AB Slite, for delivery in 1993. 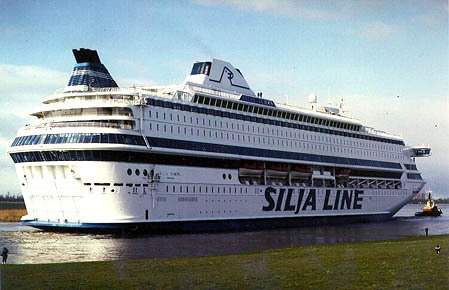 The order was cancelled before delivery, and the builders took ownership. 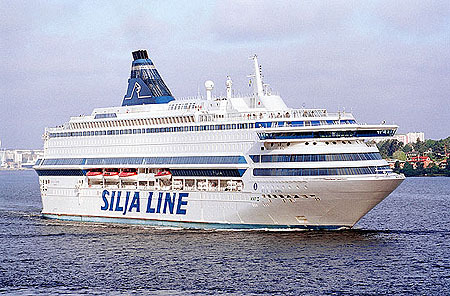 On completion, she was charterd to Silja Line as Silja Europa. 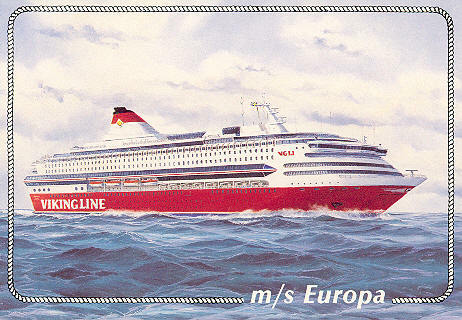 This official Viking Line postcard of Europa was issued before cancellation of the order. 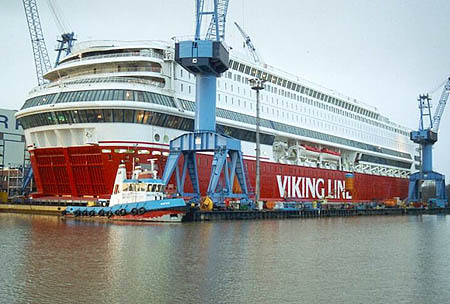 Photograph of Europa during fitting out at Papenburg. 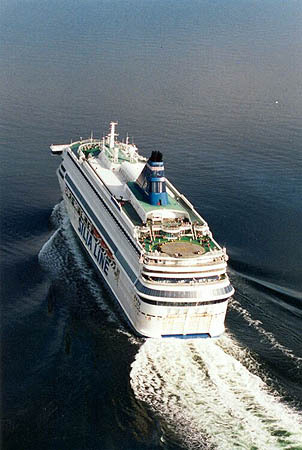 Photo: &COPY; Andreas Wörteler, 27/01/1993. 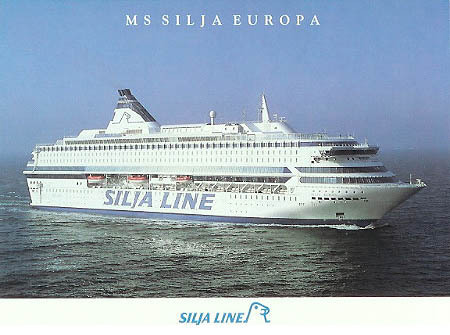 Silja Line (Effjohn International) postcard of Silja Europa. 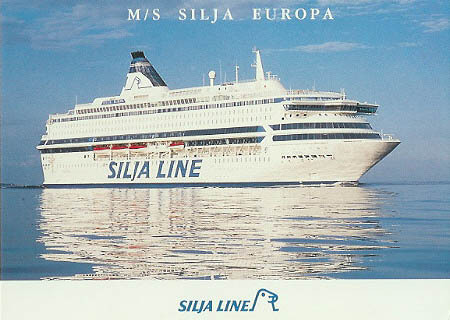 Silja Line postcard of Silja Europa. 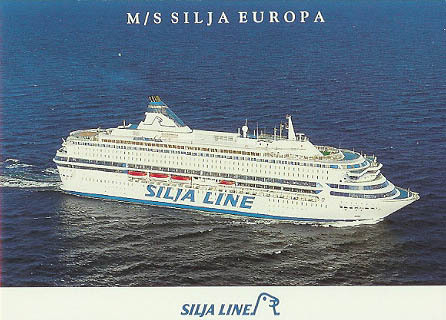 Simplon Postcards sp1153 (issued June 1993) of Silja Europa. 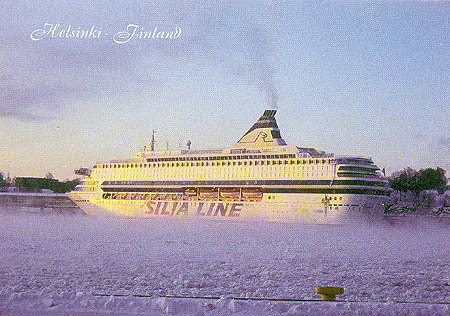 Photo: Peter Therkildsen, Stockholm, 1993. 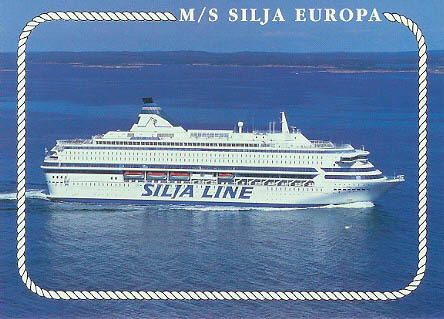 Färjeminnen postcard 2805 of Silja Europa. 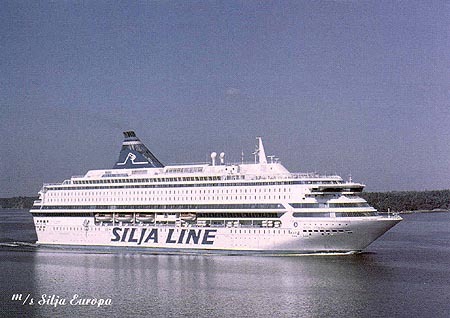 Photograph of Silja Europa on delevery voyage down the Ems from Papenburg. 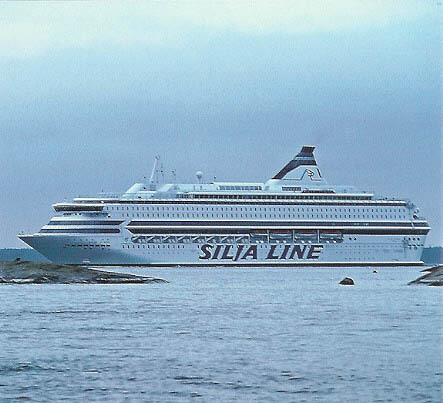 Photo: &COPY; Sören Lund Hviid.